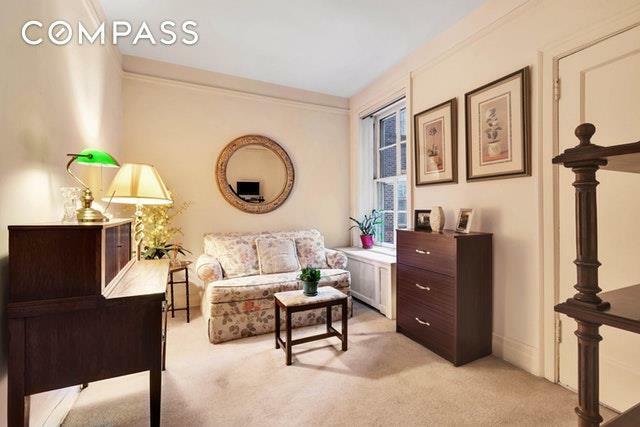 A dream home in a classic, Chateau 3-bedroom, 2-bath co-op apartment in historic Jackson Heights is available. This Chateau 6-room prewar unit has a grand entrance foyer, living room, formal dining room and a wood-burning fireplace. 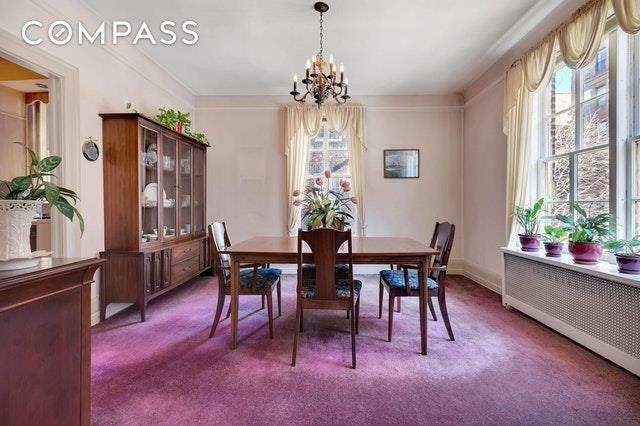 Other features include original moldings and hardwood floors under the carpeting. The kitchen has an eat-in counter along with two windows. The majestic master bedroom with an en-suite bath overlooks the serene Chateau garden. The second bath connects the additional bedrooms each facing the garden for a peaceful living experience.This coop building greets you with an elegant limestone entrance and dramatic slate mansard roofs, dormers and finials. Designed by architect, Andrew J. Thomas, the Chateau co-ops were built in the early 1920s. The landscaped garden spans almost a full block in length with seating areas and majestic trees that tower over a beautiful English garden. A peaceful oasis in the city, the Chateau is exemplary of the Jackson Heights' historic landmark district. 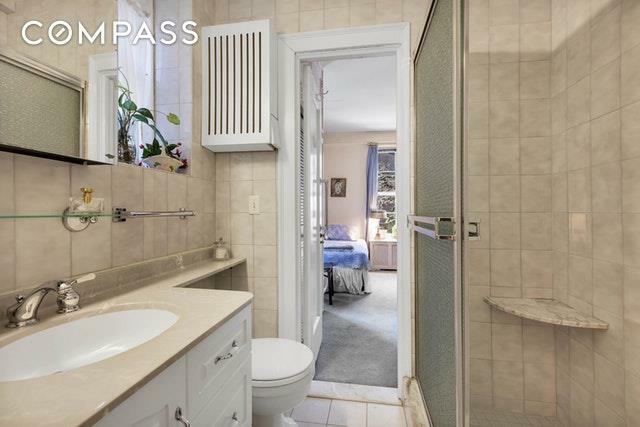 Enjoy this great location with access to shopping, restaurants, buses and subways - 7 train blocks away and a short distance to the E, F, M, R lines. 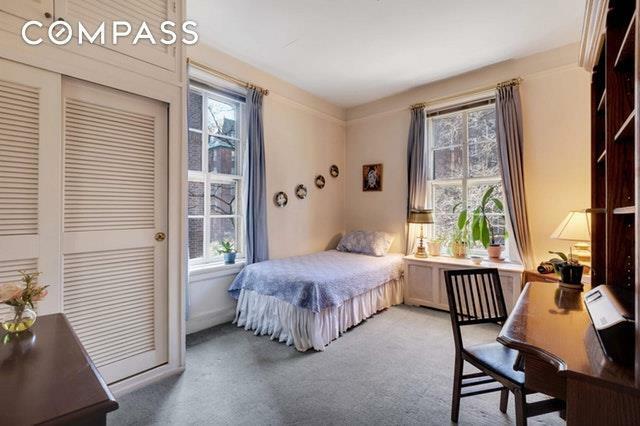 The building has a live-in super, a laundry room in basement. A storage bin comes with the unit for your convenience. Listing courtesy of Barbara Lombardo of Compass.